B) Matching, so there could be NO FIGHTING. C) Easy to carry, especially for little bitty Poesy shoulders. 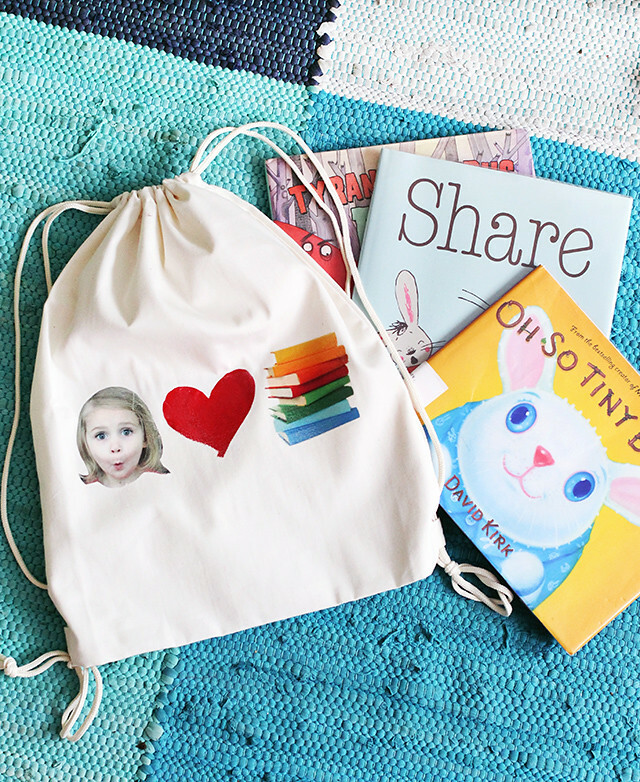 So, today I'm teaming up with Canon USA to bring you a super fun and simple library tote DIY! I began by finding pictures of the girls, along with a photo of some books and a heart I drew up in Photoshop. 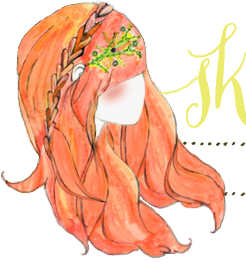 After I got it arranged in the proper format (making sure to flip the images so they are mirrored-- I always forget this step! ), I printed it off using my Canon PIXMA MG7120. 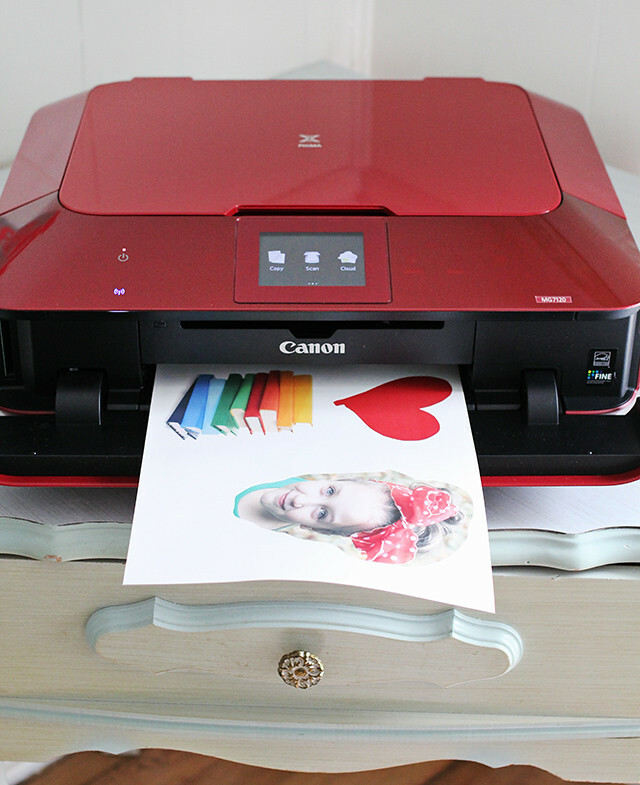 I don't know if you have noticed, but I LOVE this printer. Next, I cut out all of my images and arranged them on the tote. 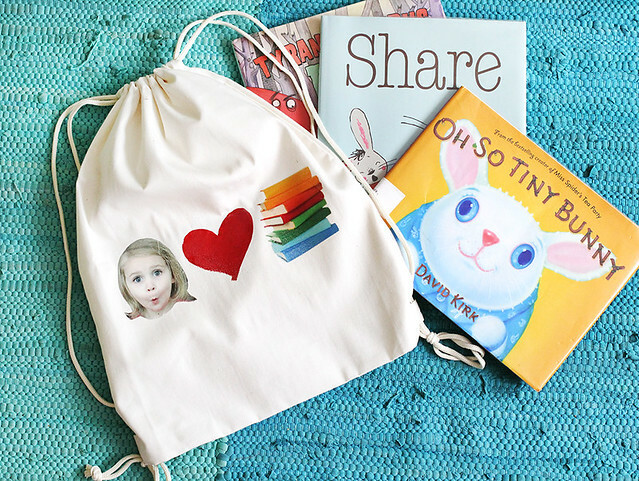 If you are using a drawstring backpack style like this, make sure you slide your images down a little lower so they don't pucker! Once you find the right positioning for your photos, flip them face down and place a pillow case or sheet over them for ironing. Follow the package directions for best results. 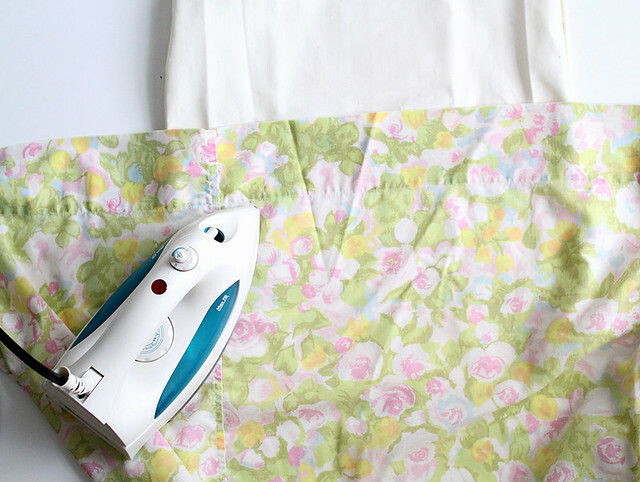 I'm sure many of you have used iron on transfers before, so this DIY should be very quick and easy! 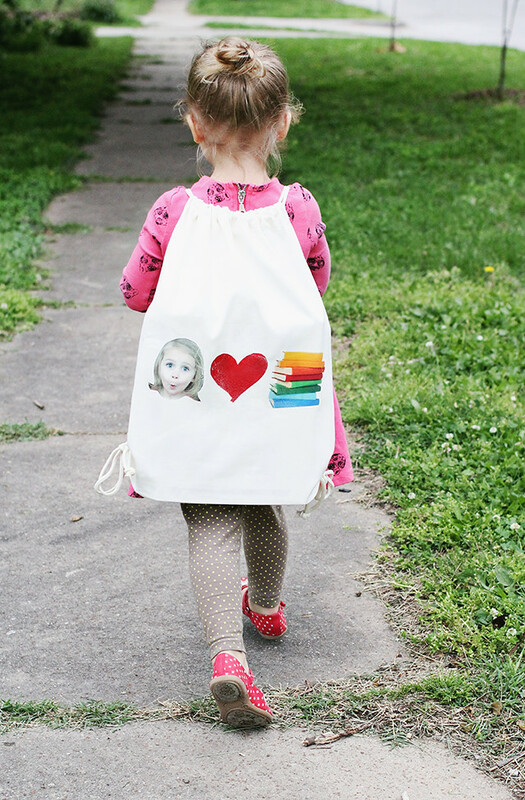 I love how colorful they turned out and the girls love seeing their faces on their library bags! Win-win! xo. Aw, that is so cute! And it's great that you're getting them excited about reading. I think many parents forget to these days. Of course people can discover books later in life, but I'd hate to see anyone miss out on all those wonderful children's books. This is so adorable! 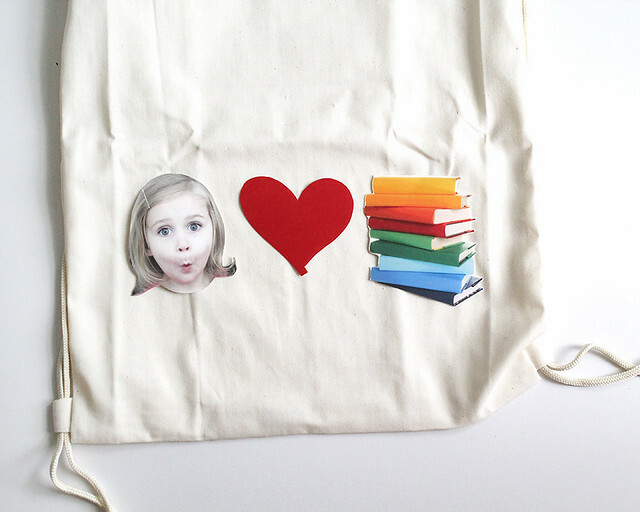 I am so going to make myself a book tote. I would totally carry around a grown-up version of this! Holy whoa, this is the simplest yet most genius idea EVER!!! I absolutely have to try this! Thanks for the inspiration -- so cool! This is just the sweetest! What a great DIY! Thanks for the idea, girl! this is so adorable!! poe is TOO cute! okay, that is seriously cute! So adorable! 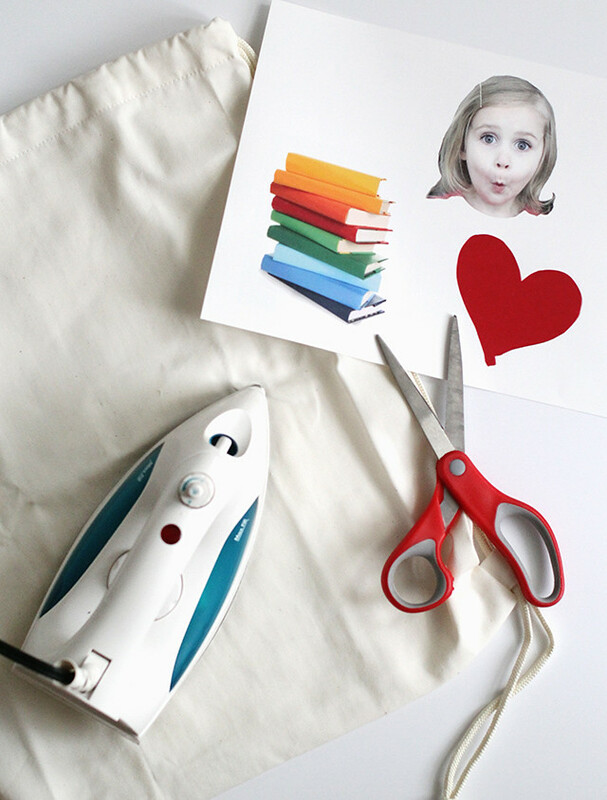 I love this fun DIY! I also love the library too! This is so cute! 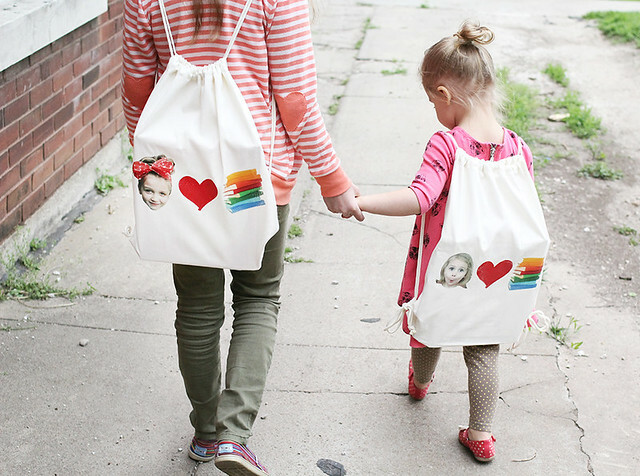 I love using the childs picture instead of their name on their bags. LOVE this idea! I used to make iron-on transfer t shirts all the time (my favorite was a Bukowski shirt I made). But a tote is so cool! 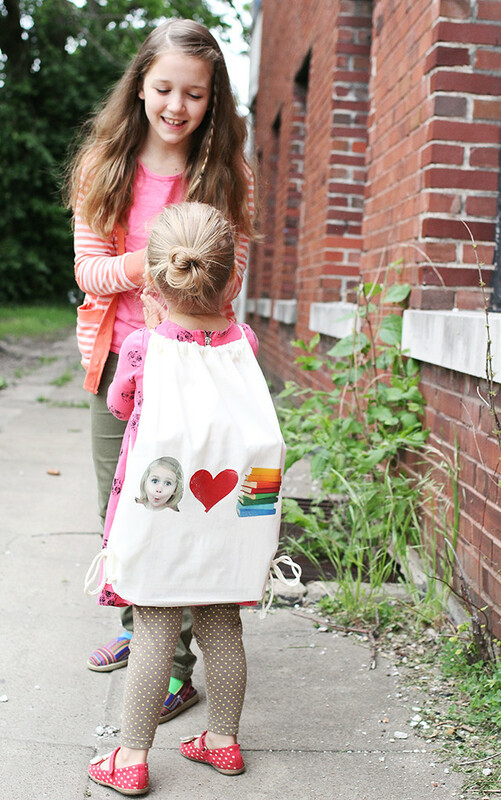 I love Poesy's face she's making on her bag. Too cute! Lovely idea! I've been loving using print and iron on paper to create unique items of clothing! This is such an adorable idea, I want one!